* Free download to scan and preview your lost or deleted data. Windows RAID Recovery is a reliable tool designed to recover corrupt inaccessible data from damaged RAID arrays. Safely recover data from RAID 6, RAID 5 and RAID 0 Arrays and support ExFAT, FAT and NTFS file System. Windows Data Recovery works quite well, and as with all recovery programs. RAID Data Recovery Software - Technician ensures you to find & reinstate all your lost, deleted or formatted data. 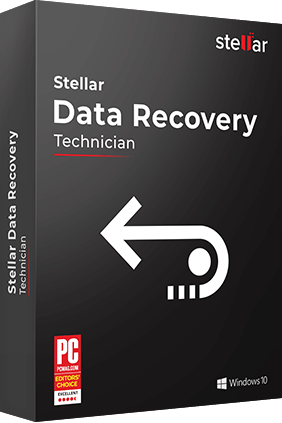 The Stellar Data Recovery - Technician is the World's best Windows-based data recovery software that precisely recovers data from an inaccessible or damaged RAID 0, RAID 5, RAID 6 array, and additionally from other storage media with its intuitive & user-friendly interface. Stellar Data Recovery - Technician software is all you need when your RAID 0, 5, or 6 fails due to hardware failure or software issues and in the event of data disaster. JPEG, JPG, TIFF/TIF, PNG, BMP, GIF, PSD, CRW, CR2, NEF, ORF, RAF, SR2, MRW, DCR, WMF, DNG, ERF, RAW, etc. IDE, SCSI, Toshiba, Seagate, Western Digital, SATA, etc. USB Flash Drive, Pen Drive, Thumb Drive, MP3 player, MP4 player, etc. SD, Compact Flash, Memory Stick, Mini SD, Micro SD, SDHC, Mini SDHC, Micro SDHC, SDXC, smart SD, SDIO, etc. Nikon, Canon, Casio, Kodak, Samsung, Sony, Olympus, Fuji Film, Panasonic, Sanyo, Konica, Agfa, Argus, Chinon Epson, JVC, etc. The software supports recovery from FAT, NTFS, & exFAT RAID drives and partitions. It flawlessly recovers your lost files, pictures, documents, and more from a corrupt, damaged, or inaccessible RAID array. The virtual RAID construction feature is helpful when the RAID drives are severely corrupt or when you don't know or remember the RAID parameters required for RAID construction and recovery. When software fails to create a probable RAID construction based on provided parameters, it provides an option to create a Virtual RAID construction where you can perform RAW data recovery and 'Search Lost Volume'. The software doesn't require a RAID controller for RAID construction & data recovery. So you can use the tool to recover data from both hardware-based and software-based RAID 0, 5, & 6 arrays. In location selection screen, the 'Can't Find Drive' option under 'Other locations' allows you to select hard drive for missing partitions that are lost due to corruption or accidental deletion. Recover only photos and multimedia files by selecting the 'Multimedia Files' checkbox and proceeding with 'Deep Scan'. Preview scanned files with one click, whether it's a picture, video, or an MS Office document; you can preview them all and perform selective data recovery. Also, you can turn ON or OFF preview feature. Not able to find files via Quick Scan, try Deep Scan. Select the hard drive or folder location, turn ON the 'Deep Scan' toggle switch and proceed with the scan. The Deep Scan thoroughly searches data in drives based on file signatures that allow recovery of data from a severely corrupt hard drive and its partitions. This powerful software can also recover files and folders from an encrypted hard drive. Enter the password when asked to gain access to the drive and recovery options. A faulty drive, when used for longer period of time, leads to further corruption and sometimes permanent data loss. The software allows you to create an image of the hard disk to recover data from a sensitive hard drive having a lot of bad sectors by minimizing its usage and maximizing chances of successful data recovery. Still not able to see your files? Our Data recovery experts may be able to recover your data from your hard disk. Try our in-lab services. For FREE consultation, leave your details here. As a computer technician, I have been using the Stellar data recovery software for about 5 years, this newest version really hits a home run! Easy user interface, and 100% recovery of failed raid array. Thanks for a great product, you make my job easier, and really make my business shine!